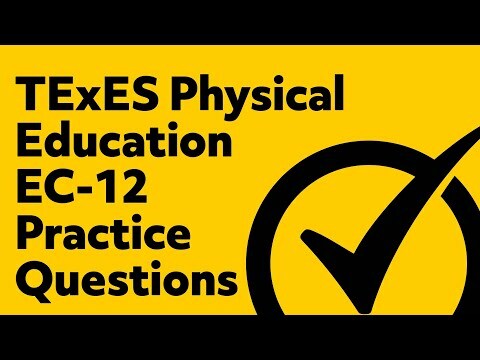 The TExES Physical Education EC-12 exam measures a candidate’s competency to teach physical education at the EC-12 grade levels. It covers a wide range of essential knowledge and skills related to the TExES PE exam and is a necessary step toward becoming a certified physical education teacher in the state of Texas. Am I Eligible to Take the TExES Physical Education EC-12 Exam? In order to take the PE test, you first need to provide proof that you qualify for it. There are a few different paths you can take but, in general, you need to have completed either an approved educator preparation program or a bachelor’s degree in physical education. You may also be eligible to take it if you have already been certified in physical education by another state or country. After you complete the application for the authorization to test, you can register to take the exam either by phone or online. You should do this as soon as you receive your authorization so that you can make sure you get the date and time that are most convenient to you. The exam fee, which you will have to pay at the time of registration, is $131. You should also make any arrangements for special accommodations you might need while you are registering for your appointment. In that case, it is better to register by phone so you can speak with a representative about your needs. The test is computer-administered and all materials that you need will be provided for you. So you should not really bring anything with you beyond two forms of ID to check in. You may also want to bring a small snack because the test will last five hours. You’ll have to keep the snack stored outside of the exam room but many testing centers will provide storage lockers for this purpose. Ask in advance if this will be a possibility. If not, just make sure to eat a substantial breakfast on the morning of the test so that you won’t be distracted by hunger during the test. What Topics Are Included on the Exam? There are going to be 100 multiple-choice questions on this exam. There may be an additional 15 to 25 unscored questions on top of that but these are simply being tested for inclusion on future versions of the exam and won’t affect your results. 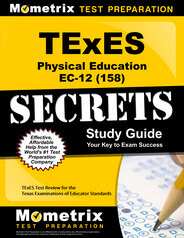 How Is the TExES Physical Education EC-12 Exam Scored? The test is scored on a scale of 100 to 300. Your final score is different from your raw score (the actual number of questions you answered correctly) in order to make it comparable across different versions of the test. No matter which version of the test you take, you need to get a minimum scaled score of 240 in order to pass and become certified. Your official score report will tell you whether or not you passed as well as how you performed in each of the three content areas. What Should I Study to Prepare for the Test? The test is mainly composed of principles, standards, and methods for promoting healthy physical fitness in students. Each of these principles, standards, and methods is based on the established Texas curriculum. So you primarily need to study that curriculum in detail. 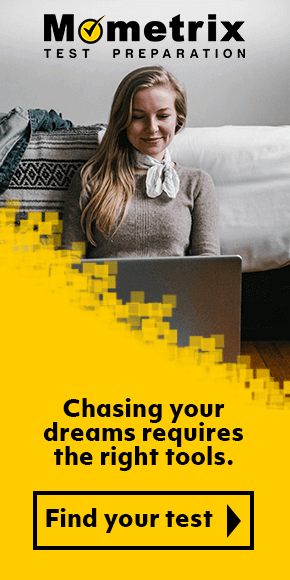 The best way to do that is to use the Mometrix Study Guide which compiles all of those principles and standards in one convenient book. You can easily review everything you need to know and create a study plan using the guide’s own recommendations and sample schedule. To help you more effectively absorb and remember all of that information, you should also get Mometrix Flashcards. They provide an equally comprehensive overview of the material and present it in a way that is clear and easy to understand. Mometrix Academy is a completely free resource provided by Mometrix Test Preparation. 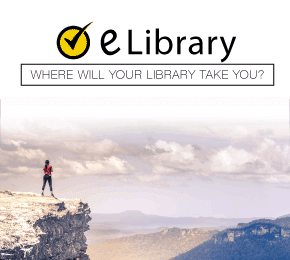 If you find benefit from our efforts here, check out our premium quality TExES Physical Education EC-12 study guide to take your studying to the next level. 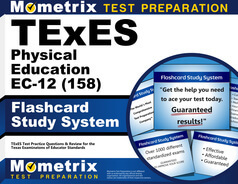 Just click the TExES Physical Education EC-12 study guide link below. Your purchase also helps us make even more great, free content for test-takers.